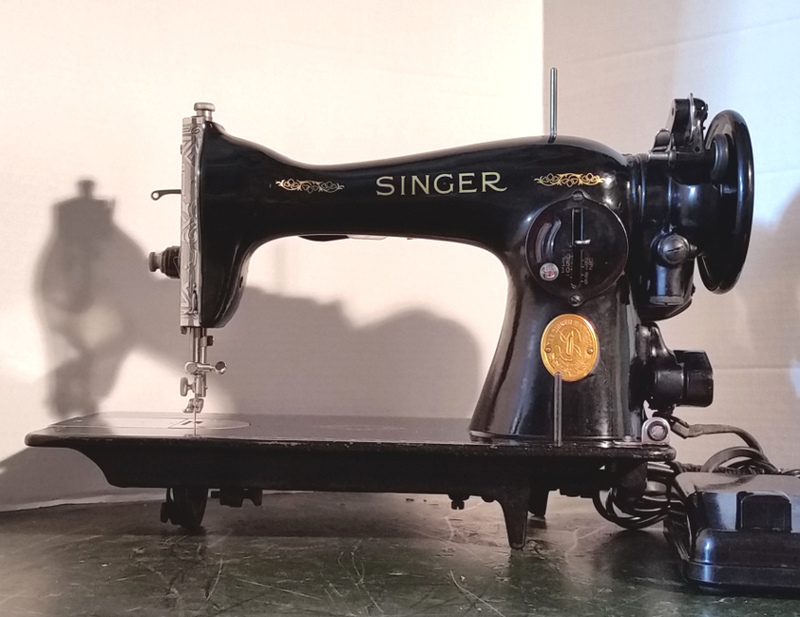 Singer's famous 15-91, like it's cousin the Singer 201, has a direct-drive, built-in motor that provides plenty of power for sewing heavy duty material like denim and garment leather. It's been a favorite of quilters and crafters for decades because it's strong, simple, and reliable. 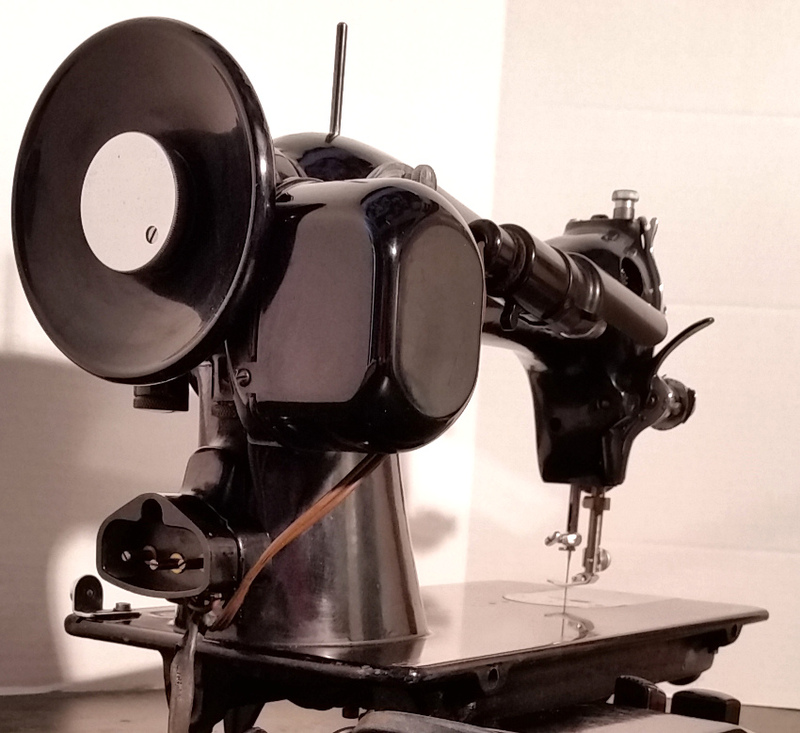 This 15-91 was made as the US was gearing up for WWII and chrome was beginning to become less available so some of the parts on this machine are black rather than chrome; odd parts, like the spool pins, the presser foot lever, and the center of the bobbin winder tension disk. It uses standard needles and standard class 15 (as in class 15 sewing machines like the 15-91) bobbins which are the most common and available bobbins in the world. It uses regular low-shank presser feet, also the most common in the world. And it comes with the original manual and a vintage, black Singer button holer in a high-impact green plastic case. This one's just come off the restoration bench and we've been deep inside it to get to all the moving parts. 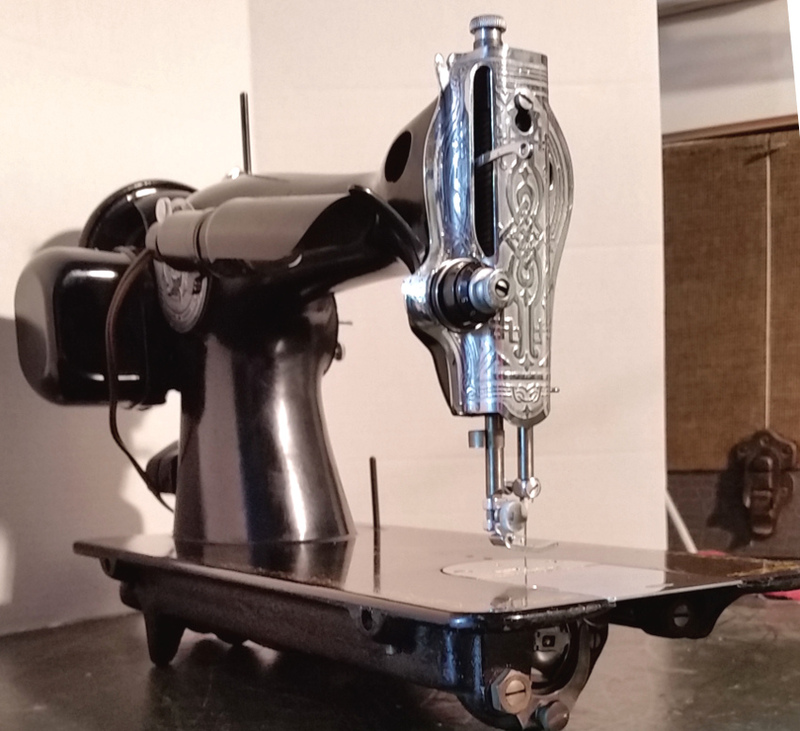 Here at Stagecoach Road Vintage Sewing Machine, we are passionate about what we love doing, which is restoring beautiful vintage sewing machines to the best that they can be, because we are in love with the styling, the quality of the materials, the workmanship that went into these great machines, which just can't be duplicated today. You, seriously, cannot buy a machine this good, new. So we search out the best of these fine machines, the ones that are very lightly used, and open them up. We disassemble the tension, the motor, the bobbin case, take off the face plate, the gear cases, the hand-wheel, the slide plate, the bottom plate, and the back access plate and get down to where the old dried-on oil and grease are. We clean out the packed-in lint and dust, remove the thread-jams, inspect the hook and the needle plate, and generally look for potential problems. We take out the needle bar and all it's linkages and the presser foot bar and all it's parts and put them into the alcohol bath to remove the years of sticky oil buildup that bogs down a vintage machine and robs it of speed and power. The mains shafts, bearings, and other parts get cleaned in place to make each machine run as free and light as a new machine. Each machine is tested at the restoration bench and then tested again by our quality control technician to be sure we haven't missed anything. She's not only a master technician, she's a seamstress who knows what a seam should look like. We don't try to hide the scratches or chips that have been honestly earned in service to their craft. 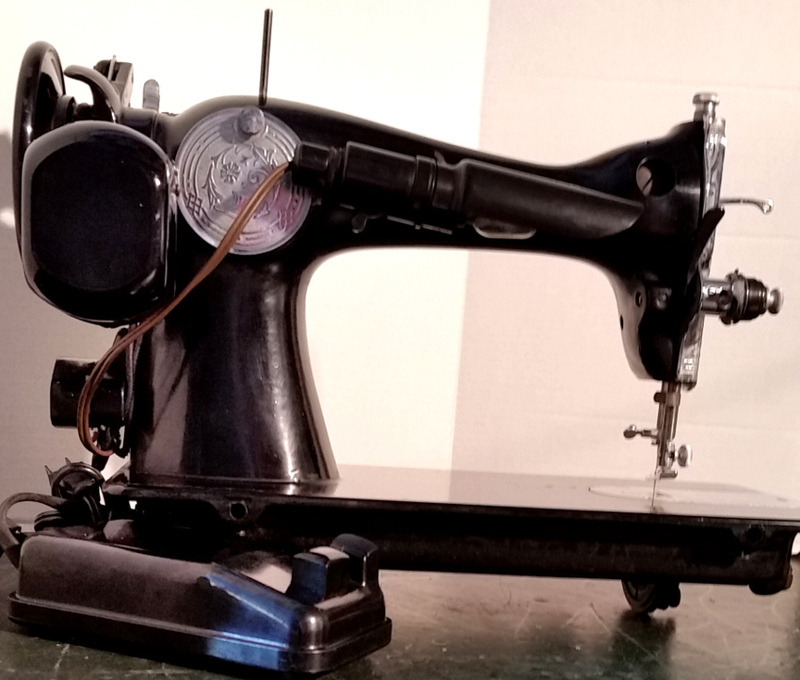 We like the wabi-sabi beauty of a working sewing machine. 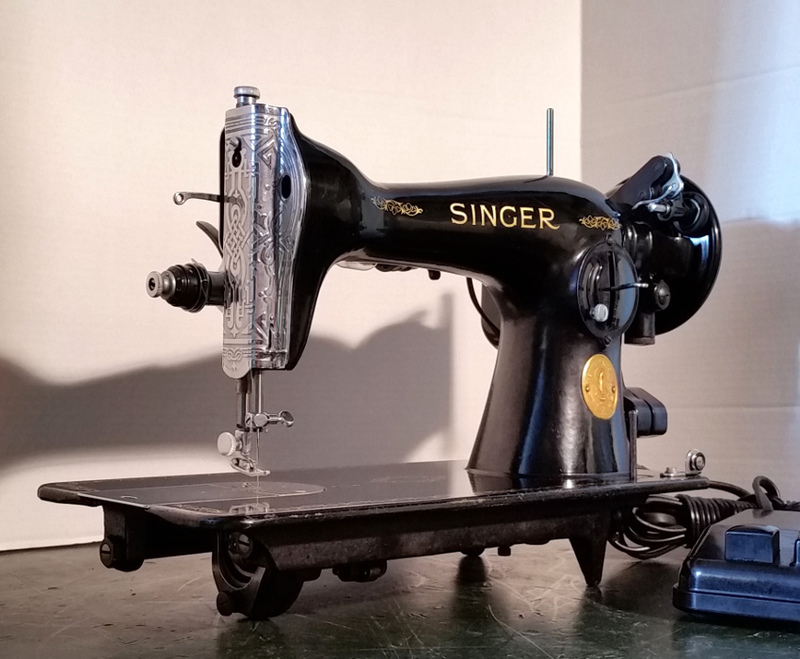 Sorry to say, this Awesome Singer 15-91 has SOLD!